Welcome to our new website's blog section. In this section we aim to provide you with articles on our dental treatments, useful tips on oral health care as well as introducing you to common oral diseases and problems and advising you on how to tackle them. In addition, we will be using this section to update you with related news about our Wimpole Dental Office. Our aim here is to provide you with a summarised introduction to our dental treatments as well as briefly introducing our principal dentist. We offer a wide range of premium quality dental treatments including both medical and cosmetic treatments. 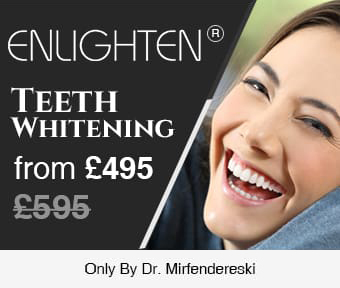 All of our treatments are conducted under the supervision of Mr Mirfendereski a renowned UK dentist with more than 20 years of experience. For several years he has also been working with Chelsea Football Club as a dental consultant for the past several years. Our experienced team will conduct the required procedures to the highest standards and are able to help those patients who are anxious about dental treatments. We will be updating this section on a regular basis during the coming months. If you require any information on specific dental treatments or oral disease, please let us know and we will do our best to write a blog post with a detailed explanation on the requested subject.